0 Hunter Ryan UTL 6' 0" 0 lbs L R Purdue Northwest Hebron, Ind. 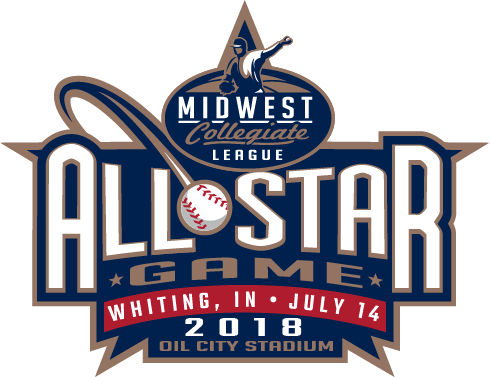 0 Malik Peters INF 6' 1" 161 lbs R R Northern Illinois Calumet City, Ill.
0 Tommy Farrell UTL 6' 3" 195 lbs L L UIC Chicago, Ill.
21 Brandon Petkoff INF 6' 3" 185 lbs L R Texas A&M Corpus Christi Frankfort, Ill.
0 Frank Napleton UTL 6' 3" 195 lbs R R Saint Leo La Grange, Ill.
0 Joe Rycerz INF 6' 4" 0 lbs R R Saint Xavier Schererville, Ind. 0 Mason Diaz C 0' 0" 0 lbs R R Northern Kentucky Valparaiso, Ind. 0 Gabe Pulido C 0' 0" 0 lbs R R Griffith, Ind. 0 Ben Berenda C 0' 0" 0 lbs R R IU Southeast Rensselaer, Ind. 0 Jack Brannigan OF 0' 0" 0 lbs R R Notre Dame Chicago, Ill.
0 Clay Thompson OF 5' 10" 165 lbs L L Oakland Schererville, Ind. 0 Nick Fushi OF 6' 5" 185 lbs R R Ball State Crown Point, Ind. 0 Brandon Laux P 0' 0" 0 lbs R R Kirkwood CC Chicago, Ill.
0 Chris Torres P 6' 4" 190 lbs R R Wabash Valley Chesterton, Ind. 29 Tyler Laux P 6' 5" 195 lbs R R Prairie View A&M Chicago, Ill.
© 2019 NW Indiana Oilmen. All rights reserved.